We become what we say. How do you grow your church in its health and mission? Sometimes our communities lack focus or vision. We lose sight of our ministry priorities, or our people don’t have concrete reminders of why we do what we do. We need concise, memorable tools for cultivating culture, communicating ministry vision, and developing leaders. The language we use shapes our communities. 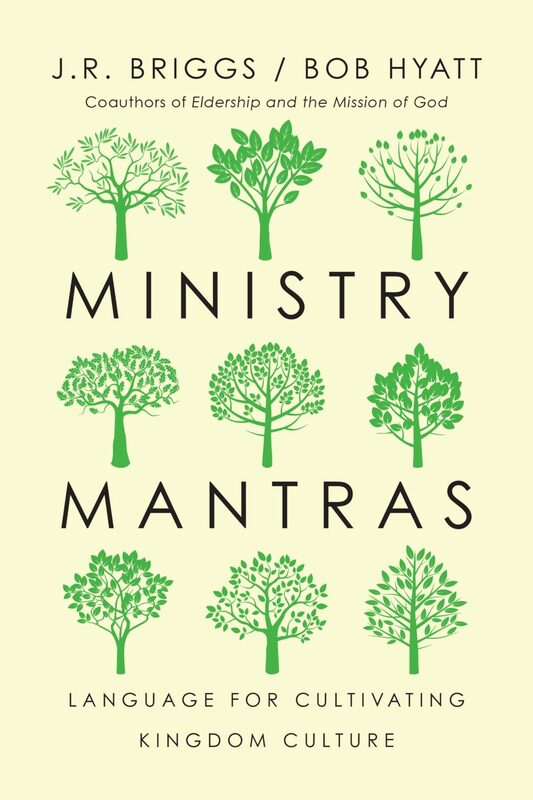 Pastors J.R. Briggs and Bob Hyatt share seventy-five short and memorable mantras they use to cast vision, inspire ministry, and create a healthy church culture. These brief chapters provide a wealth of practical wisdom for leadership, discipleship, community, and witness, embodying best practices with vivid stories of on-the-ground ministry. These bite-sized ministry insights are ideal for church leaders to discuss with their teams and implement in their communities. They provide accessible handles for growing the health of your local church, for the sake of the kingdom. I have to admit that when this book arrived in the mail for review, I cringed a bit. I have had far too much experience with clever little Christian sayings that do little to motivate and much to cause all of those in earshot to exchange sideways looks that seem to be saying, “can you believe this guy!” So, as I jumped on the train for the ride from Van Nuys to downtown LA during a recent visit, I opened this little book with a bit of trepidation. I thought this was a good start and moved forward with a bit more willingness to hear what these guys had to say. As I worked through the remaining 200 pages or so, I found myself encouraged and better equipped. Briggs and Hyatt deliver on the above definition. They have taken core guiding principles for ministry and have crafted them into memorable phrases to serve as guide-rails for ministry. Briggs and Hyatt are not exhaustive, but are extremely thorough in their engagement with multiple areas of ministry and life. They move from big-picture items like vision and overall ministry philosophy to the personal items like time management and the family unit. This book touches on some of the most important pieces of a ministry workers life. True, some of the phrases are a bit more corny than others like “Go sailing with God” and “Keep the Gumball machine full,” but the majority of the mantras seemed to hit home for me as a full-time pastor. True, some are more pertinent to me in my current life stage and ministry, but I am confident that church leaders will find great wisdom in these pages. In fact, many of the ideas are transferable to other occupations and organizations as well. The book is well written. The short chapters are readable and engaging. Church leaders would do well to grab this book, read it, and then turn it into a quick reference – reviewing it every so often to put the train back on the rails. Each Mantra is a quote in and of itself. Here are a few of my favorites!